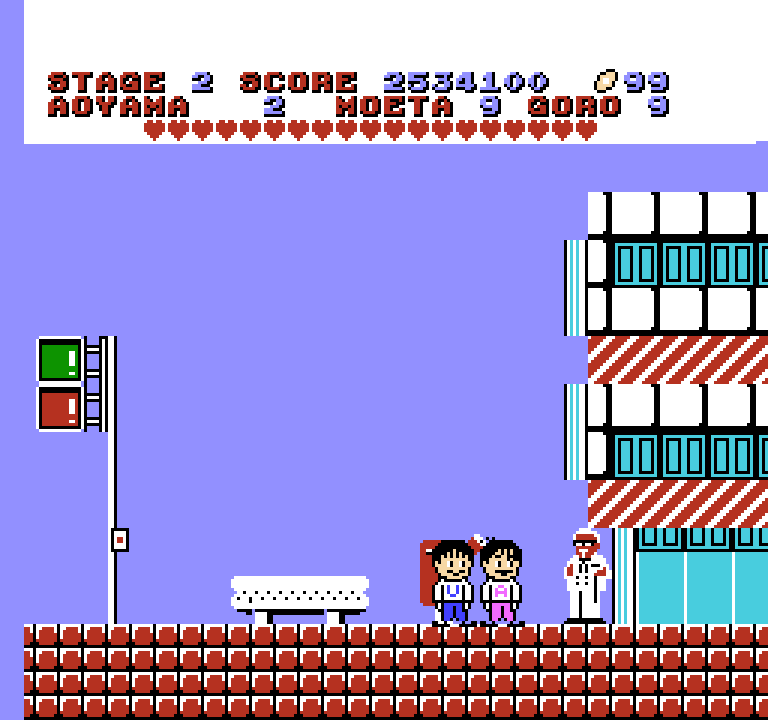 Hana no Star Kaidō is a Famicom game that never saw a release outside of Japan. 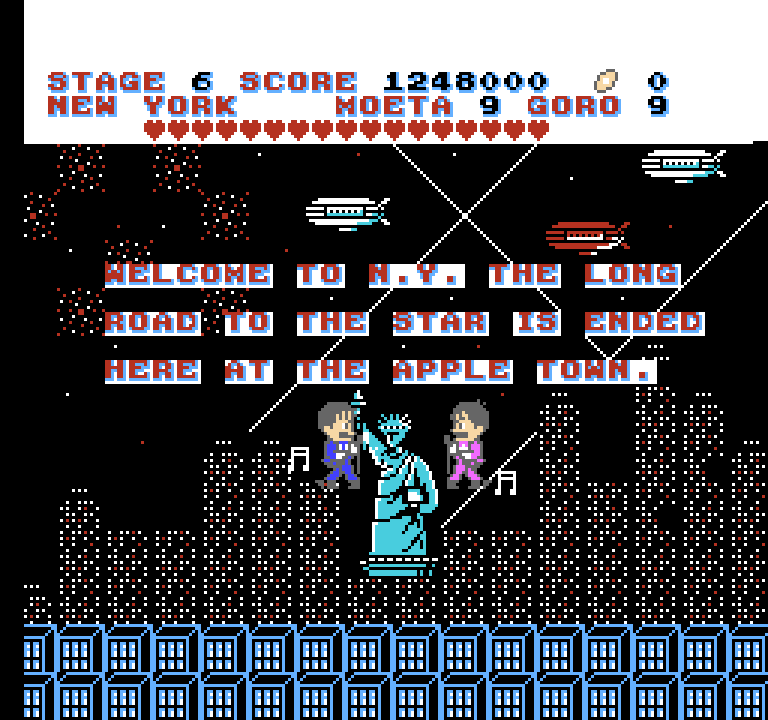 Because the game centers around the entertainment industry and getting a music contract with an American company, the game’s text is almost entirely in English – most of which results in bad translation gold. Good luck to your first release. 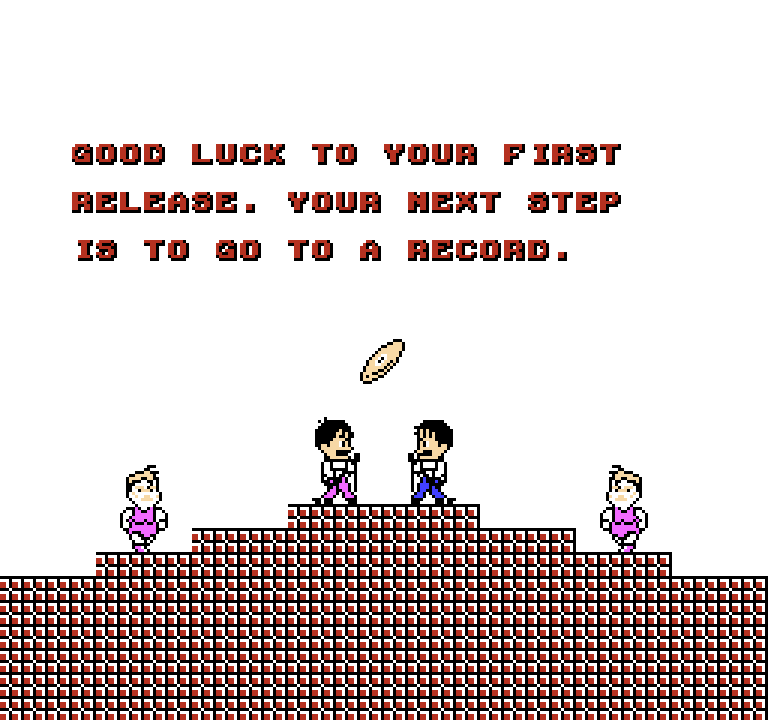 Your next step is to go to a record. Show up you gays. You gonna be famous. What are you think about that. 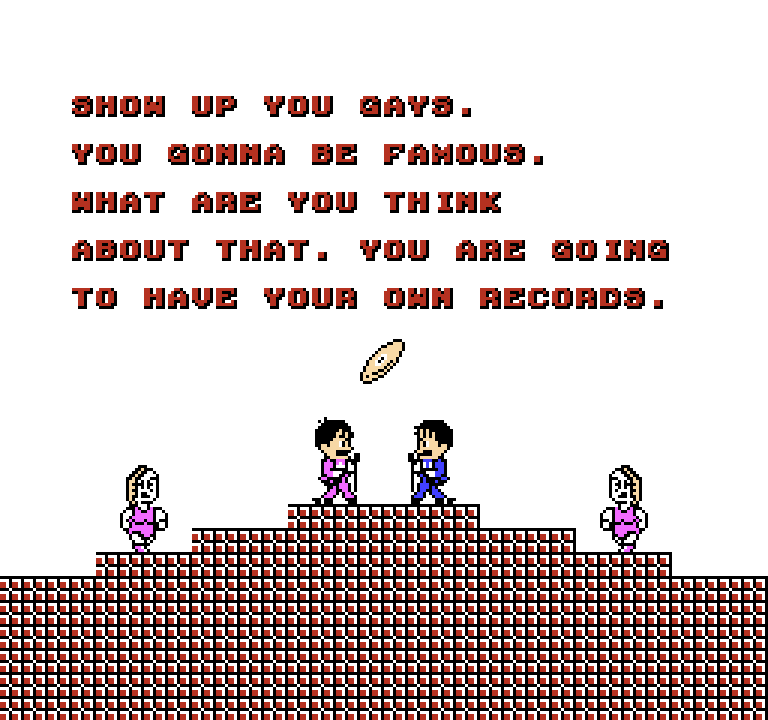 You are going to have your own records. Here it comes. 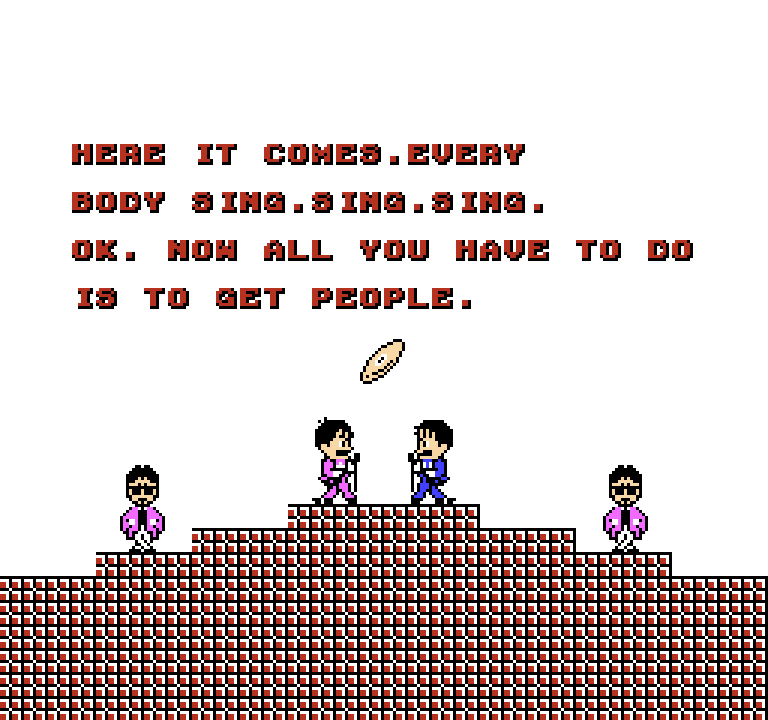 Every body sing. Sing. Song. OK. Now all you have to do is to get people. Now you are on your way to the Budoukan. Very well. Very well. Very well. Your only target is. 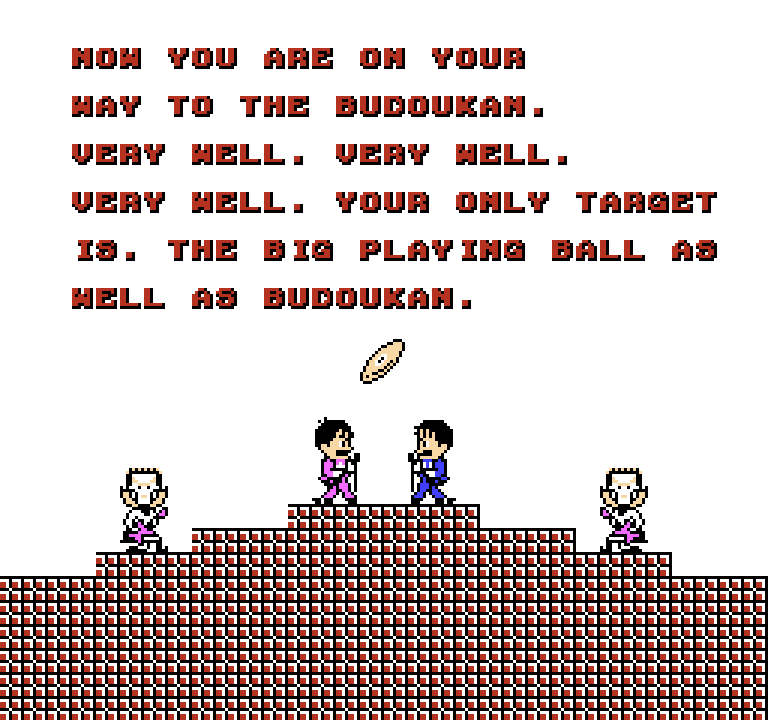 The big playing ball as well as Budoukan. May 5.1989 Budoukan Tokyo. What you thought was so right. They did it. The contract from the N.Y. Madison House just arived here tonight. They will leave for N.Y. tonight. Welcome to N.Y. The Long road to the star is ended here at the apple town. As we can see above, this game offers a great example of a common problem when writing English words into Japanese and back into English: As sometimes turn into Us, and vice versa. This can lead to very unintended results! This Be Bad Translation #05, Gunbarich! This popular Japanese arcade game finally hit the Nintendo Switch, along with an awkward English translation. This Be Bad Translation #01, Zero Wing! This infamous scene from the start of Zero Wing has become the face of bad translation worldwide. This Be Bad Translation #04, Download! 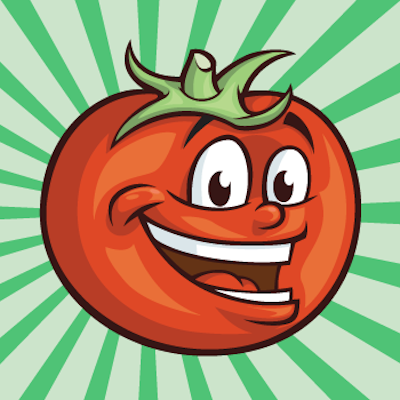 This Japanese game has a surprising amount of interesting and colorful English. I see you decided to not take my suggestion to skip translation #6. It seems like after you finished this game those two center sprites of the guys at the mics would remain burned into your TV.